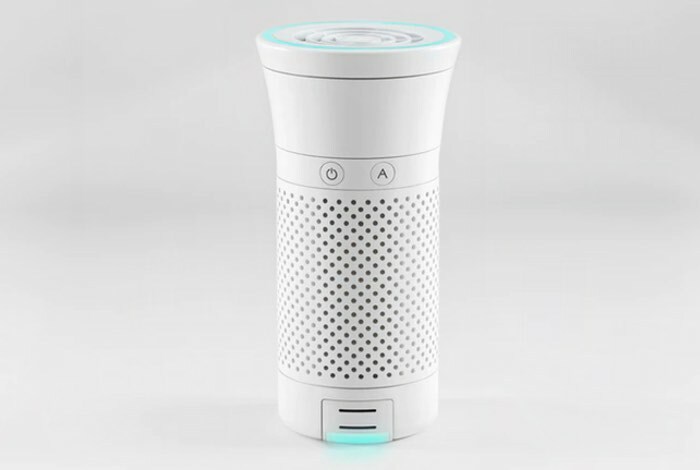 If you work or travel to areas that might be polluted, the Wynd personal air purifier might be worth a little more investigation and offers a solution has been specifically designed to help purify the air in your personal space. Wynd is a portable purifying solution that monitors and cleans the air within your local environment as needed, and connects to a companion smartphone application to keep you updated when there are impurities in the air around you. Watch out the video below to learn more about this portable air purifier, that has been created by Wynd Technologies and this week launched a Kickstarter campaign to raise the $50,000 it requires to go into the next stage of development and production. With still 39 days remaining, Wynd has already blasted past its pledge goal. Wynd’s creators explain a little more about its inspiration and features. Know your air quality at all times. The Wynd Air Quality Tracker continuously monitors your environment and alerts you when it becomes unhealthy. The tracker senses for the level of particulate pollution, from sources such as allergens, tobacco smoke, bacteria, mold spores, and smog. We don’t just tell you the air quality: We proactively take care of the problem. With Auto mode, Wynd can automatically adjust its purification level to maintain a clean environment. At 0.6 pounds and 2.8 inches in diameter at the base, Wynd goes where you go. Wynd lasts for 8 hours of typical use without having to recharge the battery. Wynd’s size makes it easy to travel with, and it’s a must-have for those going to polluted areas. Wynd keeps your personal space free from particulates, including allergens, germs, and industrial pollution (PM2.5). Wynd cleans these particles out quickly. Despite its small form factor, Wynd can deliver over 8 liters of clean air per second. For more information on the new Wynd air purifier jump over to the Kickstarter website for details following the link below.